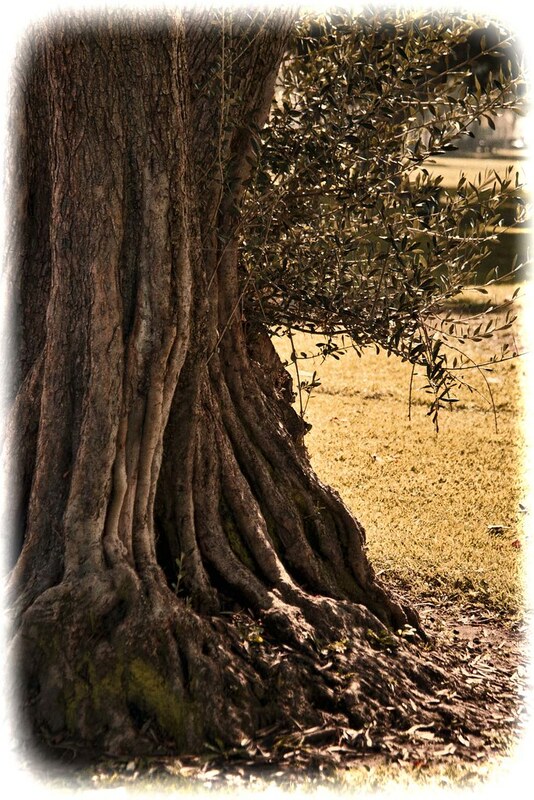 I really like this old olive tree that lives in the back section of Furman park. Evergreen with small silvery leaves and a trunk that is perfectly gnarled and twisted, it has a certain character. While it looks old, it is also strong. I was surprised to learn that many old olive trees in the Middle East and Europe are believed to be over 1,000 years old. Certainly the Furman olive tree isn't that old, but I wonder how long it has been there. Hopefully, it will be there long after I am gone. You have captured its essence here......love the fine detail, the twists and curves! You have shed light on an otherwise unappreciated masterpiece of God's. I love how you captured it too... I've always loved the mysteries that come with old trees, the history and all esp those that are older than me.